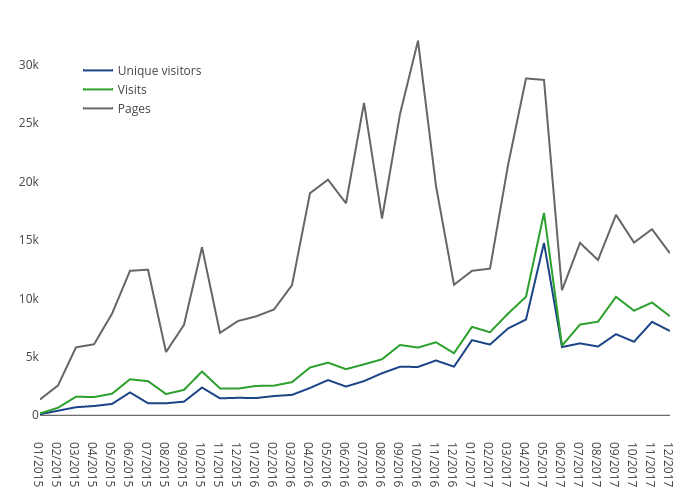 Sergio_cima's interactive graph and data of "Unique visitors, Visits, Pages" is a scatter chart, showing Unique visitors, Visits, Pages. The x-axis shows values from 0 to 35. The y-axis shows values from -1685.6666666666667 to 33807.666666666664.